Verve Mojo and Ready, Set Stamp! 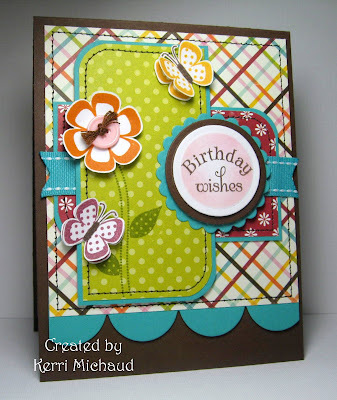 Please scroll down for the Your Next Stamp Birthday Blog Hop, and HERE to enter my Blog Candy! That's it for me today! Thank you so much for stopping by, and I hope you have a wonderful weekend! Kerri WOW these colors are GORGEOUS girl..LOVE that flower and darling butterflies..Girl your stitching is AWESOME!! WOWEE Girl this is GORGEOUS!!! Love it! Gorgeous colors!! So fun and happy just as a birthday should be!! Wow, best card I have seen on this weeks Mojo Challenge. This is just stunning! Thanks for sharing your talent. I love Hawaiian Shores....and it's yum with brown! Lots of bright and fun pieces on this one - even with the dark base. The double butterflies are so sweet! Wow! This card is gorgeous! I love the flower and butterflies! Amazing take on MOJO challenge! LOVE THIS! Everything just turned out perfect!!! Gorgeous! 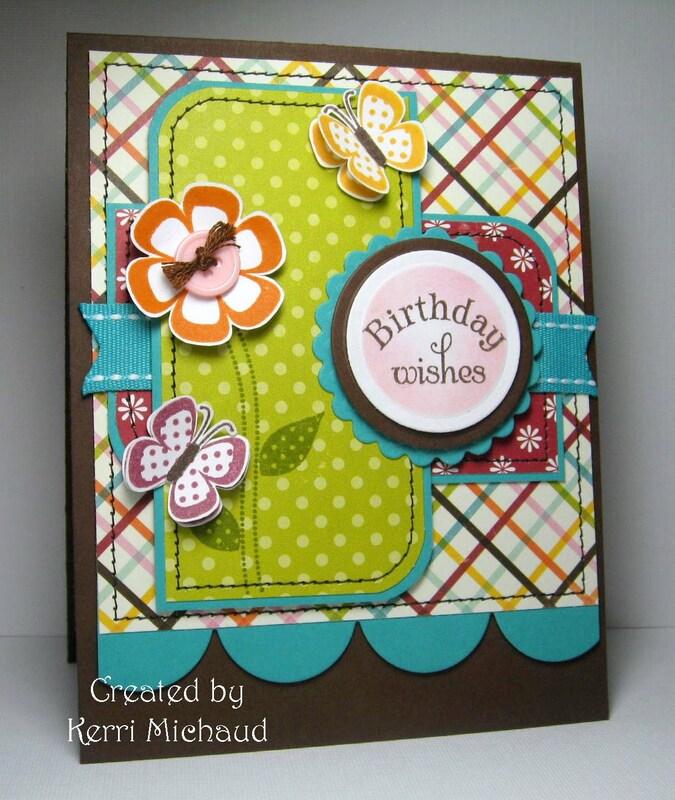 So fun, love the bright papers, the stamps are perfect! WOW! Love the funky, fresh colors! Fab card! Beautiful . I love the stitching :) and the aqua and brown together, so pretty. I'm going to have to get some PTI cardstock. Very pretty. Great colors, papers and job on the sketch. Ummmm..... fabulous! Like a bright sunshiny day after a week of rain. Gorgeous, Kerri! Super fun card! So bright and cheerful - great take on both challenges!